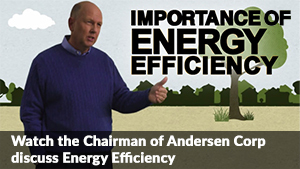 Andersen® Casement windows are our most energy efficient model. Tall yet shallow, the panes open from the center outwards by means of a rotating crank. Wind or unwind to open or close, letting in fresh air into your home or keeping the pleasant air you have sealed, whichever mode of ventilation you seek. We recommend this model to be placed above cabinets or wherever reaching to control airflow may be difficult. Here is our selection of replacement casement windows. 100 Series: The 100 series, crafted with our patented, innovative Fibrex composite, give a durable and energy efficient window. Simple and basic yet not without elegance, the 100 series can blend or stand out with our available colors. 400 Series: Our most popular mode. The 400 series distinguishes itself with natural pine interiors, frames ideal for art glass or grille designs, and equipped with our easy to care Perma-Shield for added protection against weather and water damage. A Series: This option protects and repels dust, wind, water, and other weather elements. Featured is a tall bottom rail and comes with an easy access handle to release all locking points in one gesture. 400 Series Complementary: All you expect of the 400 series, but with two windows built together as one. A central sash divides the panes within the frame for an unobstructed view. It is the stereo sound of casement windows. They are available in rectangles, trapezoids, and many other arched shapes. A Series Complementary: A traditional appeal with modern ease and operation. Like the 400 Complementary series, a central sash separates the two windows within the same frame for an unobstructed view. Open either side to catch a breeze or both for elite ventilation. Choose from a wide array of architectural shapes, arched or angled. 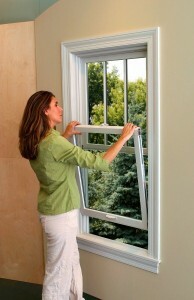 Decide your home’s airflow and with the window crafted for optimum circulation or sealing. Repel the harsh elements of dirt and debris or welcome a gentle wind to suit the room and your mood. Call Replacement by Andersen® of San Francisco to install the lowest maintenance indoor air controller you will ever need.